When I began diving deep into the personal development world, I was fed a lie. I was told not to do this one specific activity. Years later I regret buying into the lie. Successful people don’t do this. Successful people run fast and far from this. And successful people don’t partake in this activity at all. So, what was this activity so many personal development and leadership gurus told me? These gurus told me and countless others to flee from the evils of entertainment. Leader’s need to constantly learn and grow. Entertainment doesn’t provide a way for learning to happen. The average person watches over 5 hours of TV each day. This leaves them no time to pursue their dreams and passions. Watching movies makes you lazy. On the surface, these reasons for not watching TV, movies, or listening to music sound good. They tickle your ears. Come on! Who doesn’t want to be a better version of themselves? I know you do. I want to become a better version of myself as well. But something happens when you begin to cut out the things you enjoy. You begin to become a shell of your former self. No longer are you taking in the arts: Music soothes the savage beast, or so they say. Movies are the latest form of storytelling. Television doesn’t fall far behind in telling great stories. This means you’re becoming less cultured. You’re not enjoying the creations of other creators. You’ve blocked off a massive way to be inspired. I’ve learned so much about leadership from the movies, video games, TV shows, fiction books, and music. 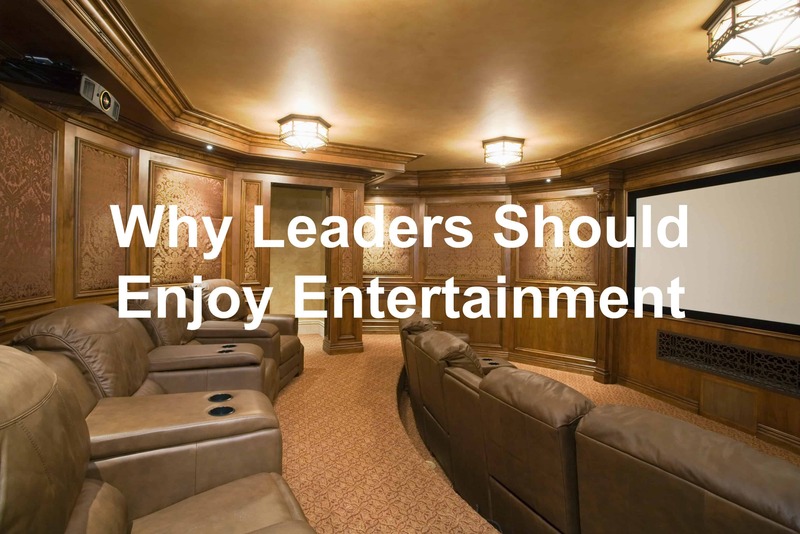 There are deep, profound leadership lessons in each of these areas of entertainment. I share the lessons I take away from movies in the Reel Leadership serives. My friend, Martin Himmel, shares life and leadership lessons from video games on his website The Gamer’s Life. Something clicked, really clicked as I interviewed Bobby Umar. His answer to my question on what book has most impacted his life flipped the question on its head. Bobby didn’t answer with a traditional business book. He answered the question by giving a fiction book: The Harry Potter series. Why? Because the Harry Potter series contains lessons like the days when wise men would tell fables, Jesus would tell parables, and we’d listen to fairy tales. Think about it. The fables contained important life lessons in an enjoyable story format. Jesus’ parables taught us about faith and love within a fictional story. And fairy tales taught us there was a world beyond our current. This is why you need to continue to consume entertainment. You’re going to find leadership lessons and personal development ideas in them. Then you can translate those ideas and share them with your team. Question: When’s the last time you consumed something for entertainment? Let me know what it was in the comment section below.